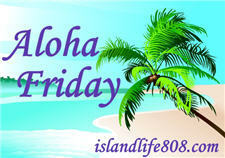 My Aloha Friday question for today is: Do you have a smart phone? What do you use your phone for (besides making calls)? I don’t have a smart phone. I very seldom ever use my cell phone. Absolutely! I have an Android, and though I am not the tech geek my DH is, I keep up on my twitter stream, emails and even my membership cards and GCs. Love it! I don’t but the phone I do have I use for facebook and email. No smart phone here, only a blackberry.. i go on the internet, send photo to a photo blog I have “Auntie E’s On the Go”, check e-mail accounts and message and comments. Oh yes occasionally I do make calls,lol. I never thought I’d admit to this but, I am pretty hooked on my iPhone.